This issue of Healthy World News presents several wonderful victories bashing Big Pharma’s efforts to suppress the natural health products industry, LOVE/528 medicinal music, and our work advancing the 528LOVERevolution. These are revolutionary times. Renegades are being attacked, libeled, and arrested. This first article details three years of attacks against me for one product–LIQUID DENTIST with 528Hz frequency technology (LD528). The GREAT NEWS is that we are finally fulfilling orders for this amazing product designed to eliminate much of dentistry’s drilling, filling, and billing, and provide another alternative to vaccination genocide. This David-and-Goliath saga features industrial sabotage, extortion, libel, unfair competition, theft, and CIA/FBI/NSA (COINTELPRO) efforts to destroy me and LIQUID DENTIST on behalf of BigPharma and the criminal elements that infiltrated my manufacturers and Idaho office staff. They stole my LD528 concept, violated my branding, changed the formula, watered-down the strength, sabotaged the product, and are now marketing cheap unreliable substitutes by the same name or similar names. But you can’t keep a superhero down! Many customers have been waiting patiently for this great news for months. Their loyalty and prayers empowered our perseverance while LIQUID DENTIST was under attack by the forces of evil thoroughly exposed herein. Read this article so you won’t be fooled by LIQUID DENTIST imposters and frauds. 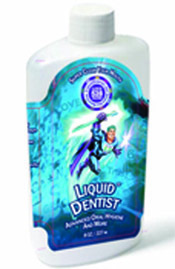 There is only one LIQUID DENTIST 528 Superhero by Dr. Leonard Horowitz, and he works for truth, justice, your health, and global health freedoms. LD528 holds the power to revolutionize dentistry, medicine, and the personal care industry due to its “all-in-one” general health blessing. LD528 provides a natural nutritional immunization against more than 500 strains of bacteria in your mouth (and even more viruses). 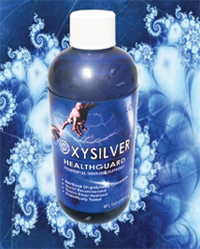 This technology, like OxySilver, makes risky vaccinations and deadly antibiotics obsolete. That is why this product and I have been embattled since 2009. CLICK HERE to read “What I Have Gone Through to Bring LIQUID DENTIST to Market,” detailing my embattled efforts to bring you the world’s best personal care product for dental and general health. The Human Papilloma Virus (HPV), like Herpes, a DNA virus, was initially spread to humans via tainted vaccinations, according to a mountain of scientific research. So can you trust vaccine industrialists, or their political puppets, to give us a cure? Absolutely not! Late Night in the Midlands’ host Michael Vara interviews Dr. Leonard Horowitz on Big Pharma’s latest attack, forcing children to receive a biochemical weapon advancing mass depopulation–the HPV Vaccine: A Cancer Trigger. CLICK HERE to listen to this shocking, enlightening, just outstanding broadcast. Then . . . .
“The HOROKANE”–Dr. Horowitz, and investigative journalist, Sherri Kane–expose the psycho-social and political implications of the new HPV “mandate.” Pushed by pay-offs to “PHARMAWORES”–California and Texas Governors, Jerry Brown and Rick Perry, the new law violates families’ rights to life, liberty, and natural healing, as it requires children to render ill-informed consent to be emotionally abused, physically assaulted, and biochemically intoxicated by child molesters in white lab coats. The action exclusively benefits the drug cartel and population controllers. 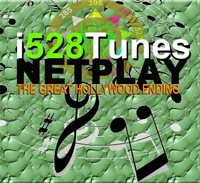 CLICK HERE to listen to this terrific “Insight Hour” broadcast on BBS Radio.com. CLICKING HERE gets you an earlier report on Big Pharma’s deadly HPV vaccine propaganda. ADDED SPECIAL: Get background on the American COINTELPRO infiltrators into the natural health and “conspiracy industry” by listening and learning from Barbara Hartwell, Sherri Kane, and Dr. Horowitz, interviewed by Michael Vara and Glenn canady. . . . CLICK HERE. LOSE WEIGHT WITH PURE LOVE. . . . Introducing the “528 LOVE BAR”, for Chocolate Lovers Only. . . .
Purely addictive, DELICIOUS, 100% organic, raw cacao, 528-resonating- superfood for weight loss, meal replacements, or just plain fun. HealthyWorldStore.com proudly presents “The LOVE528BAR,” made to calm your mind, invigorate your body, and mend broken, melt frozen, and soften hardened hearts. Developed to be a nutritionally complete, satisfying, and energizing meal replacement, this most delicious treat delivers medicinal and vibrational ingredients to warm cold hearts using the 528Hz/528nm frequency of pure LOVE. 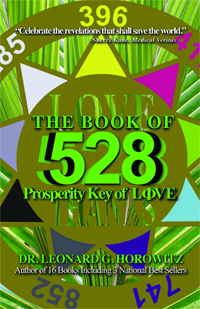 The 528 “good vibration” is celebrated throughout the botanical world. It resonates at the heart of the rainbow with the 528 greenish-yellow color of chlorophyll. LOVE is the “Universal Healer.” So this pure, hand-blended, large, round, chocolate bar, imprinted with Dr. Horowitz’s trademarked “Perfect Circle of Sound,” delivers the experience that heaven is closer than near. It is right here and now, warming your heart and uplifting everything in this Divine frequency. This original raw recipe superfood uses organic cacao to deliver 92 minerals that have been consecrated in the nine core creative frequencies of nature. Bamboo silica, great for building healthy bones, teeth, skin, and hair, has been resonated with 528Hz sound, and 528nm light, to deliver a spiritual blessing in LOVE for better health and vibrant longevity. That’s right, natural bamboo (Tabashir) silica, a powerful alkalizing and remineralizing agent for healthier connective tissues, and helpful in cases of osteoarthritis, painful joints, osteoporosis, and in the prevention of diseases, is an energy carrier and transmitter in this 2.5 ounce chocolate bar. To learn more about this medicinal treat, and how it is made, CLICK HERE. “We wouldn’t be using risky radioactive nuclear technologies to produce power, if the Illuminati got out of the energy industry,” says Dr. Leonard Horowitz. Dr. Horowitz was commenting on the radiation readings from the Fukushima nuclear power plant, reported last month by Deborah Dupre in the Examiner.com. HealthyWorldStore.com is also thankful for ThyroRX, to help reduce the risk of radiation poisoning producing thyroid cancers. The thyroid gland is most susceptible to radiation-induced cancer. This natural, most powerful, product provides thyroid protection for prevention. A whole food supplement, the seaweed in this formula has been harvested by hand in the most pristine waters of Iceland and Canada. Kelp and Dulse are blended here to help protect us from radioactive materials. This product is also helpful for those wishing to maintain healthy blood sugar levels, and reducing abnormal blood clotting. ThyroRX is also great for detoxification, thyroid gland rehabilitation, boosting the immune system, helping decrease high blood sugar and cholesterol levels, improving gastrointestinal tract function, and detoxifying the body from heavy metals, radioactive elements, free radicals, and toxins. To order ThyroRX now, or learn more about it, CLICK HERE. To read Dupre’s entire article, CLICK HERE. Doctor Fred Bell, a leading expert in protecting people against electromagnetic radiation from space-based weapons, died mysteriously on Sept. 25, 2011, within hours of recording a controversial interview hosted by Jesse Ventura, the ex-governor of Minnesota. Dr. Bell was said to be sharing sensitive intelligence that placed his life at risk, according to Ventura, who reported the suspected political assassination to police. According to authoritative reports, Minneapolis officials are now considering evidence linked to the suspected homicide. Dr. Bell’s interview by Jesse Ventura for an upcoming segment of Conspiracy Theory, was recommended by a number of people, including Dr. Leonard Horowitz, a good friend and colleague of Dr. Bell’s. The show’s agent, Rene’ Barnett booked Dr. Bell on the show, and deferred questions posed by Dr. Horowitz and investigative journalist Sherri Kane to the ex-governor, who refused comment, or to be interviewed on the matter at this time. Dr. Fred Bell was largely responsible for enlightening Dr. Horowitz to the science of electron resonance, and energy production from the sun. Dr. Bell’s book, Rays of Truth Crystals of light, explains the electronics of sunshine and water–topics central to alternative medicine and energy production systems. “I would not have become so inspired on this subject fundamental to universal construction, physics, biophysics, and electrogenetics, including the power of the LOVE/528 vibration, if it was not for Fred’s contributions,” Dr. Horowitz wrote. “The HOROKANE” discussed Dr. Bell’s passing on their Tuesday night “Insight Hour” radio show on BBSRadio.com.